Using Toothpaste To Fight Pimples? We know how it feels when a night before your most awaited day you witness the outbreak of a ghastly pimple on your skin. There is not much you can do except pray to god that it subsides before the dawn. But not anymore! We bring to you some relief by helping you to get rid of that little monster with the help of an easily available tooth paste at your home. Yes. Toothpaste can serve as your saviour in urgent situations. It contains certain elements which can dry the pimple thereby reducing its intensity and slowly making it disappear. Next time when you encounter a pimple on your face, don’t try to rupture it with your hands by taking the risk of unwanted scars on your face. Simply follow the below mentioned steps. Before you apply toothpaste on your face, it is very important that you wash your face clean. You should use the soap or face wash which is suitable for your skin. After washing the face, dry it with a soft towel. If your skin is very dry you can apply moisturiser also. We know that plethora of toothpastes are available in the market. But don’t go by fancy advertisements. Buy yourself simple white toothpaste. Such toothpaste will contain baking soda, Triclosan and hydrogen peroxide. These ingredients are anti-bacterial and believed to dry out your pimple affected area. It is essential that you create a proper boundary while applying toothpaste on your pimple. It should be only on the pimple and not the surrounding area. Also make sure that your hands are clean and bacteria free. This will ensure that you do not pass on more bacteria to the affected area. Ideally you can keep the toothpaste till it becomes dry. So, it can range from 15 minutes to 2 hours. But if you have an excessively dry skin, then extreme dryness will cause irritation or rashes and worsen your condition. So, once you feel uneasy it is suggested to wash off the toothpaste. Do not use soap to wash the toothpaste from the pimple. If possible you should splash it with warm water or use a sponge. Make sure you do not rupture your pimple by rubbing it hard. Clean it gently and tap with soft towel. 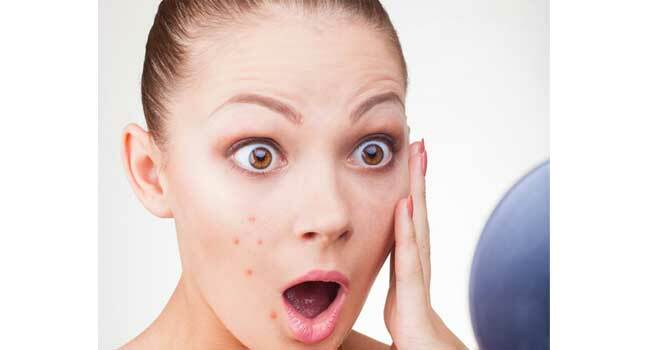 Following these simple steps will help you to get rid of the pimple faster and without any scars. • It is not a dermatologically approved method, so it may not provide desired results every time. • Secondly, this method should not be used regularly. It is suggested for only emergency situations. • When you have severe pimple, this method should not be used and proper guidance should be taken from dermatologists. We hope this easy and simple idea will help you to lessen your embarrassment on your special days and give you the confident look.